We want to take this opportunity to wish all our fans, friends & families a very Merry Christmas & a Happy New Year. We've had an amazing 2009 & made many new friends. Some highlights - the release of our latest album "VR", the 20 date UK tour with Blaze Bayley, SOS Festival, the Bulldog Bash, Hellfire Festival, tour dates in Greece & Switzerland, UK tour with Michael Schenker Group. Looking forward to 2010 & especially pleased to be confirmed for Hammerfest in March. We've started writing for our next record & the outline of 3 or 4 songs at least is ready. We expect to start recording around the middle of 2010 & release in late Summer/early Autumn. Plenty of tour dates being planned & more news as soon as possible in the new year. Thanks once again for supporting & helping us in an incredible 2009. See you out there very soon! Well, last night was the first night of the tour with Michael Schenker Group & what a fantastic start. A Manchester sell-out crowd turned up & we thank each & every one of you that supported us, the welcome we received was world class! All went off well, the night opened by the quality of power metallers Powerquest who had to "lever" all 6 band members onto a tight stage area, plus guest vocalist on one song, making 7 people in-all at that point .... cosy! Then we stepped up, with a little more freedom to move around as a 3-piece which has a definite advantage at these times! Following our intro music "The Last Invention" we powered through "VR", "The Hostage", "Brotherhood" & our customary set-closer "Death By Lightning", with the crowd now in positive mood ready for Mr.Schenker to take the stage. Thanks again, great night & a great start to the tour. Snapshot taken as above but some rather better quality photos to come courtesy of the maestro with the camera Neil Pilkington. We also have some video footage that will make its' way onto YouTube before too long. Next up Sheffield tonight. Bring it on! Can't wait. Video footage from our recent show at Z7, in the town of Pratteln, Switzerland. This includes pre-show stuff around the club, soundcheck, full track "Playing With Violence", plus some stuff from the end of the set. Hope you enjoy as much as we did! Back from Switzerland last night after the most incredible weekend at an amazing venue Z7. We'll be releasing plenty of photos & video footage over the next few days but for the moment we to want thank each & every one of you that were at the Z7 show & of course, Greece before that. Our first ventures overseas have been better than we dared hope for & we can't wait to do more. We're off to Belgium in February & have plans already for 2010. Watch this space! Meanwhile, don't forget we're in Chester on Friday, warming up for the Michael Schenker tour which starts on December 16th in Manchester & carries on a further consecutive 7 dates in Sheffield, Dudley, Belfast, Bristol, Milton Keynes, Newcastle & Oxford. See you out there! Back from Greece, it's Switzerland next! We arrived back from Greece last night & with little more than 24 hours back on home soil, we fly to Switzerland tomorrow, ready to play the fantastic Club Z7 on Saturday, supporting the mighty Blaze Bayley. Greece was an absolute blast, with highs & lows as always with touring & we have lots to tell. No real time to tell our stories right now but next week when we have chance to catch up properly when we'll be back with more news, some video footage & of course "Scootergate"!?.... don't know what that is? Check out Blaze Bayley's blog or the news at Rock Radio Manchester, Blabbermouth or several other music websites where the latest stories are available. So, it's Switzerland first, then a big catch up & all getting ready for the Michael Schenker tour which starts in Manchester on 16th December. Good times / happy days. Thanks all & especially right now thanks to all those crazy Greek metal-head-banging bastards! \m/ You were awesome! We're sorry to say the Soundhouse gig with Panic Cell this Saturday (November 21st) is cancelled which we're told is due to licence problems at the venue. We know there was a good many of you intending to get to this show so obviously we're sad it's not going ahead. The next local gig for us is of course the O2 Academy, Manchester gig on December 16th which is the opening night for our UK tour with Michael Schenker. Hope to see you there. We're delighted to announce that we are to guest with Michael Schenker Group on their upcoming UK tour. 8 dates in total & we can't wait to get started. This is an amazing opportunity to play alongside a guy who is undoubtedly one of our heroes; a legendary guitarist from his early days with UFO & The Scorpions, through to MSG. Huge thanks to all at Hellfire Festival @ the Birmingham NEC this weekend. We had a blast, met some very cool people & got a really amazing response - thanks so much to all of you for the feedback on the night. We did several press interviews & look forward to seeing those in print/video, together with the photos of which we think there may be many! Congrats to Luke also for deputising so capably with Blaze Bayley on main stage. Awesome stuff! Shows in Newport & Oldham coming up this next weekend. CYA out there! Luke is playing main stage at Hellfire Fest with Blaze Bayley! A photo of Chris is in the latest issue of Powerplay magazine (114/Oct2009), together with a short review of our performance .."First band I caught on Saturday was the rapidly maturing Manchester trio Fury UK on the Area 81 stage, who are quickly growing in stature & sound classier each time I see them" (Mark Hoaksey - Editor). We continue an amazing week by announcing 4 tour dates in Greece as guests of former-Iron Maiden frontman Blaze Bayley. Local support also from our excellent labelmates 4Bitten. Big big news for us today as we're able to confirm we're playing Hellfire Festival @ Birmingham NEC, Saturday 7th November, on the Metal Hammer Stage. Headlining main stage for the event is Saxon & headlining the Metal Hammer stage is Exit Ten. Hellfire Festival is also combined with the music equipment extravaganza Music Live so there's plenty of cool stuff going on all weekend. Big big thanks to everyone who contributed to the almighty packed house @ Hark To Towler on Saturday for our end of tour gig & bash. What a fitting end to our tour, firstly in playing the same venue where we started the Blaze Bayley tour on 2nd May & secondly, just by the fantastic night you all helped to make. 38 dates in-all across both the tours & now we have a couple of weeks off the road. Massive thanks to you our fans, all the other bands we've played with including our Norwegian buddies Moth Circus who played at the Towler & of course Blaze Bayley for having us as his main support band for his 20-date tour, all the various venues/promoters who've shown faith by putting us on. Awesome!!!! UK Metal Underground recommends "VR"
This gig is the ultimate rock & metal halloween experience, with this devilish line-up of live bands, fancy dress & a witch's cauldron full of fun! Advance tickets are just £5, available from the box office at the venue - www.themet.biz / tel (0161) 761 2216, or if you prefer you can pay at the door £7. We recommend buying in advance on this one though because a full house is expected & tickets are going fast at this early stage. Check out the event website too at www.helloweenball.com where's there some cool photos from last years' event. Admission £3 on the door, including Reckless Depravity club night following on after the band. Advance Tickets £3 : buy HERE or £5 on the door. As you know, as part of our tour we play 4 gigs with our excellent Swedish metal brothers Core Of Nation - Kettering tonight, Boston on Tuesday, London on Wednesday, Manchester on Thursday. Hope to see you out there on the road! 30th July : Bootleggers, Kendal. 24 Finkle St. LA9 4AB. 1st Aug : Bridge Rats MCC "Rat Pack Rally", Halifax. With Decadenze. SOLD OUT. 2nd Aug : Sawyers, Kettering. With Core Of Nation (Sweden). 44 Montagu St, NN16 8RU. 4th Aug : Axe & Cleaver, Boston. With Core Of Nation. 16 West St, PE21 8QH. 5th Aug : The Purple Turtle, Camden Town, London. With Praying Mantis & Core Of Nation. 65 Crowndale Rd. NW1 1TN. BUY TICKETS £5. 6th Aug : Grand Central, Manchester. With Core Of Nation & Exit State. 80 Oxford St, M1 5NH. 8th Aug : The Bulldog Bash, Stratford-upon-Avon. Shakespeare County Raceway, Long Marston Airfield, CV37 8LL. EMAIL US AT band@furyukdotcom TO BUY TICKETS FOR THE WHOLE WEEKEND. MOTORHEAD & UFO HEADLINING. We're also glad to add a return to Oswestry for our listings for October. The Ironworks on 23rd October. More details later on. You got your copy of the album yet? Thanks a lot. See you out there very soon! We're proud & very grateful to Gawain Williams for setting up a Fury UK Fan Site at Facebook. Big big thanks to Gawain & to all other members/contributors. We'd like to thank Pedro from Bitchin Rock Photos for this fantastic photo from SOS Festival 2009. Great memory from a great day. Click on the image to see it full-size. We're to play a gig in Pratteln, Switzerland on 5th December, as guests of Blaze Bayley (former-Iron Maiden vocalist who we've just finished a UK tour with). This is an awesome opportunity again for which we're extremely grateful to Blaze & his crew. Check out the venue at http://www.z-7.ch/start.php or http://www.myspace.com/z7pratteln - a fantastic looking place with a stage graced by many great names like Cradle of Filth, Devildriver, Doro, Arch Enemy, House of Lords, Kamelot, Kansas, Magnum, Michael Schenker, Mr.Big, Queensryche, Sonata Artica, Stratovarius, Tesla, Thunder, Uriah Heep, Turisas, Candlemass, Y&T & the list goes on. This video of Blaze Bayley was taken at Z7. We play the Purple Turtle, Camden Town, North London, on 5th August. Looking forward to this, always a blast at the Turtle, great sound, people & atmos. Praying Mantis www.myspace.com/prayingmantisrock New wave of British heavy metal legends, originally from the mid-1970s. Currently riding a crest given their recent comeback album "Sanctuary" which is receiving great reviews including Classic Rock magazine. Core of Nation www.myspace.com/coreofnation. Our metal brothers from Stockholm, Sweden. Our labelmates at Rocksector Records, who released their debut official album last year entitled "Machine World". We've shared a stage (& the occasional beer) before & they're a great band & great blokes. Advance tickets are priced at £5, or £7 on the door. Available from Ticketline. Today's the day - our new album "VR" is officially released. The press reviews so far are almost universally good/great. The reaction from fans has been superb - thank you! We're proud to finally get the album out there. We recorded it back in January & it took this long time to line everything up to get to release date. Big thanks to our label, Rocksector Records, for grafting behind the scenes to help us make this happen. 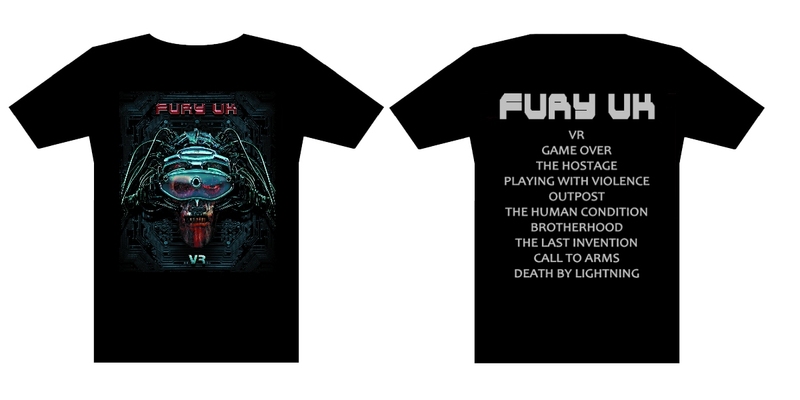 Also, the new "VR" T-shirts are now available from the band's website at www.furyuk.com. Here's an image to give you a good idea what they look like, with Mark Wilkinson's amazing album cover design on the front, then the band name & album track listing on the back. Hope you like! Yes, we're delighted to announce we return to Hobbit's, Weston-Super-Mare on Friday 21st August. 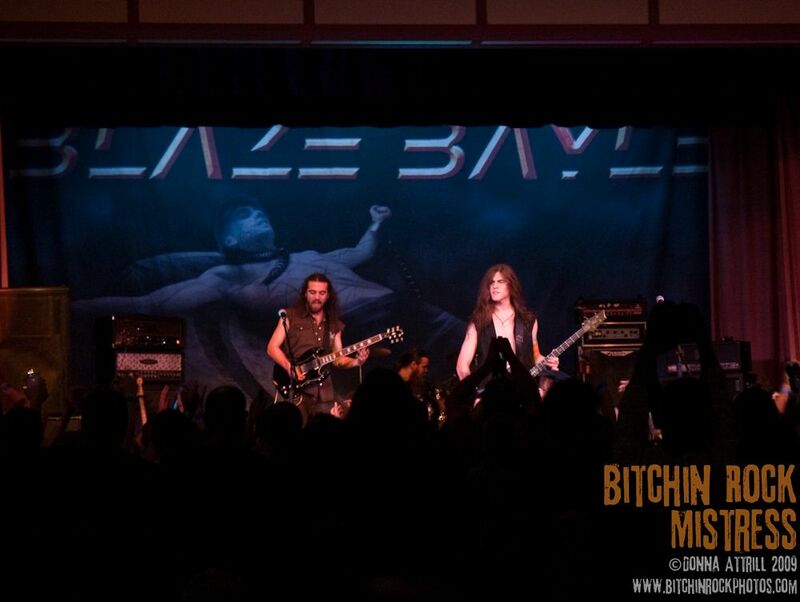 We had a great night there in May as part of the Blaze Bayley tour & now we're set to return. More details soon. We're sorry to say our gig at Trillians, Newcastle on 7th August has been cancelled due to the venue closing down for a re-fit. We hope to arrange an alternative date at Trillians later in the year. (13th July) but in addition to those of you who bought the album at SOS we understand at least one of the big retail stores got the album out to you a few days early & so far the feedback has been excellent. More news coming soon of course as we continue hitting the road almost straight away as our "VR" tour begins on Wednesday at MFN Club, Shipley Gate, Nottingham. No rest for the wicked! 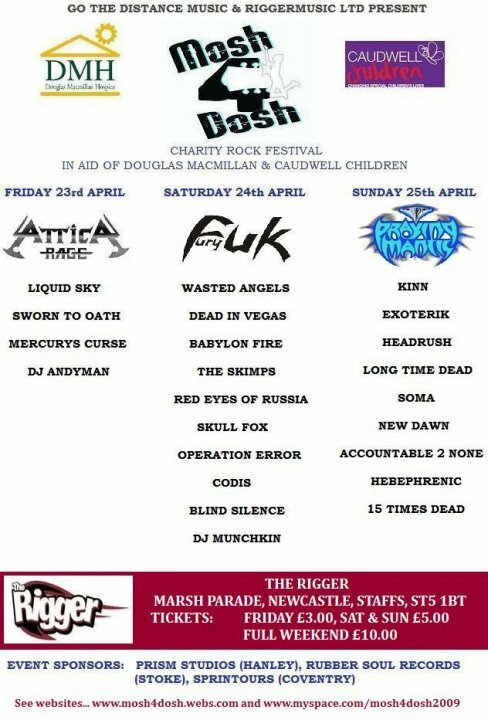 We're proud to be confirmed as the headline band on the Saturday of this event which is for an extremely worthy cause - the Douglas MacMillan Cancer Hospice. There's some great bands playing over the entire weekend. We play 24th April (2010!) 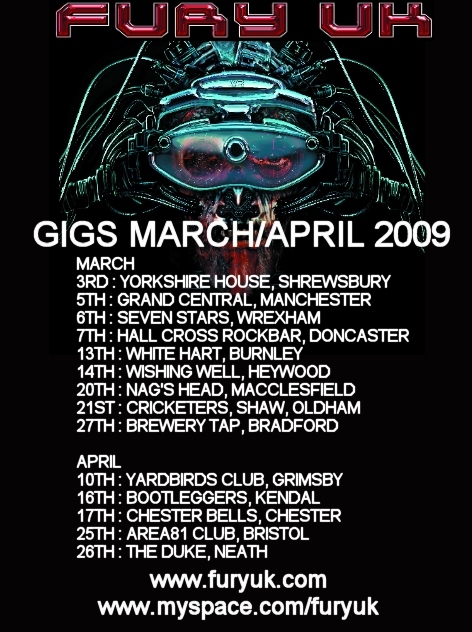 & it'll be great to return as we're long overdue at the excellent Rigger which holds happy memories for the band as one of the very first support gigs we played with Blaze Bayley dating back to early 2008 (if we remember rightly). Ticket details to be available soon. VR Tour extended .... again! Travelling as we do, we get used to putting a few miles in, but last weekend was quite a biggie. Setting off from our native Manchester early on Friday morning we made our way down to Bideford, Devon. Felt a bit like going on holiday really, especially when we arrived to find Bideford is a very nice little seaside town, with the hot sunny weather adding to that summer holiday feeling. After squeezing our van down some very small cobbled streets we got into the venue (Palladium Club), greeted by promoter Ray & set about the usual load-in & soundchecks, with one eye on the tennis semi-final as Andy Murray made his exit from Wimbledon. We're not really into tennis but the locals seemed engrossed so we entered into the spirit. Leaving the seaside in ultra-hot conditions again, we made our way to Oswestry, very close to the border of England & North Wales, to play the outdoor Rock n Ride Music Festival (formerly known as Oswestry Music Live). Another long trip & we arrived around 3pm, with our headlining set-time planned for 4.30pm. It was cloudy when we arrived (no, this isn't a weather forecast but just setting the scene! ), & within 20 minutes or so the heavens opened & the band playing before us (called Queensbury) took the stage in a torrential downpour. The festival square had all but emptied which was extremely unfair on Queensbury who'd made the long trip up from Swansea but on the other hand you couldn't blame everyone 'cos it really was bouncing down. Queensbury made the best of a very difficult situation (great singer by-the-way), & we started to prepare for our set, thinking this was going to be a wash-out. However, we were blessed as the rain stopped, the clouds parted & the hot sun came streaming through again. The square filled up as we got started & ended up a really good gig. Thanks to Keith for booking us, looking after us, thanks to all who supported us & to Liz from the Golden Lion who very kindly guided us to her pub (very cool place) & fed us free of charge. Big thanks also to our labelmates Decadenze for sharing their drum kit & very sorry we didn't arrive in time to see your set a little earlier in the day - we bad! Thank you Oswestry & thank you God for blessing us with sunshine! Hail! people of the UK! We're very happy to be getting around the country & to meet so many of you. Big thanks to you all. Latest 9/10 review of "VR"
We're very pleased to say we'll be returning to The 12 Bar, Swindon on 27th August. That is one of our favourite gigs from the Blaze Bayley tour so to include that on our forthcoming VR Tour is excellent for us. Tickets just £3 in advance / £5 on the door. Visit the venue website HERE where ticket purchase details will be available later on today. HMV have our "VR" album available for pre-order now for just £9.99 & UK delivery free. With stunning artwork by Mark Wilkinson (who's also done album covers for Judas Priest, Marillion & many others). "Chris is clearly a talented singer & guitarist combined .... influences are clear, from early Black Sabbath through to early Iron Maiden, they are still able to bring these styles up to date and provide that modern missing link that fans of the above have been waiting for." "imagine early Metallica and Megadeth but fronted by Whitfield Crane of Ugly Kid Joe fame .... and let’s face it Crane unlike Hetfield and Mustaine could actually sing .... Throw in lyrics I am lead to believe Ronnie James Dio would have been proud of and you have VR." (reader's rating 10 out of 10). "big riffs wrapped around a powerful vocal & thumping rhythm section .... an outstanding slice of metal"
This is overdue! Sorry, can't always do this when we'd like but here we are! The past couple of weeks has been a bit of a blur. We played the Marlborough Festival on the day we last blogged, that was a tough day. 7 hours to get there from Manchester to London, due to several delays on the motorway which has become a consistent thing in our recent travels during the 2nd half of this tour. The Marlborough wasn't the best-attended of our recent gigs but the people were good to us & we're glad we made the trip. Following that we were at the Roadhouse, Birmingham & what a night that proved to be. A crowd of around 160 I think it was & we got a fantastic reception & what a cool venue that is, following a recent re-fit. Would have been nice to see it beforehand to appreciate the changes but nevertheless is a great place to play & we'd love to get back there. Very cool green room area to kick back before the show. We should do some more writing about the current album reviews soon because the feedback is really positive so far. Some reviews are up already at http://www.furyuk.com/ but there's more to come we hear so will let you all know as & when. Next up it's down to more new territory at Bideford, Devon, to the Palladium Club on Friday, 3rd July with Blaze Bayley, then we headline the Oswestry Rock & Ride festival on Saturday, taking the stage at 4.30pm in Festival Square. We've always been looked after well in Oswestry so definitely up for that one. Blaze Bayley, Fury UK, Nightvision (excellent reviews recently & double-page features in Metal Hammer & Powerplay magazines), Decadenze (starring role at recent Darwen Festival & also supported Blaze on the Scottish leg of his UK tour), Babylon Fire, Incassum, Serotonal (featurng ex-Anathema vocalist Darren White), Crosswire (featuring New Model Army guitarist Marshall Gill), Exit State, Defiant, Falling Red. Get advance tickets for SOS Festival for just £5 by visiting Ticketline here :- http://www.ticketline.co.uk/artist/s-o-s-festival-2009 or by telephone to 08714244444 . The door charge on the day is £7. Phew! Got a bit carried away there, plenty to think about. Thanks a lot as always. We're at Birmingham tomorrow night, The Roadhouse, picking up the trail on the tour with Blaze Bayley & we understand both Kerrang Radio (Johnny Doom - http://www.kerrangradio.co.uk/Article.asp?id=245724&spid=10008) & Phoenix Radio (Nigel - http://www.phoenixradio.co.uk/core/home.php) are coming along to interview us which should be cool. Our good friend Red Shaw is also there to take some piccis - she last photo'd us at the Rock of Ages Fest last year & did a great job so we look forward to catching up & seeing some ace piccis later on. We've just heard that 1Radio are to interview Chris live on air on Sunday night, 7.45pm. http://1radio.org/ Looking forward to that one. 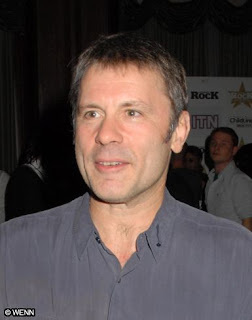 .... and last but not least, Bruce Dickinson is playing Fury UK again on his show tonight at BBC6 http://www.bbc.co.uk/6music/shows/bruce_dickinson/ . He's played "Salvation" previously but tonight is choosing a track from the new album, so really interested to see which one he chooses. We're playing in London tonight, The Marlborough in Camberwell. A late set at about 11.30 headlining their first festival day there. Looks gooooood! Bruce Dickinson of Iron Maiden is to play a track from our upcoming album "VR" on his radio show at BBC6. This occurs from 9.00pm GMT this Friday 19th June. We wonder which track Bruce will choose to play? that modern missing link that fans of the above have been waiting for". create and the direction they are travelling in...." "a sample of what to expect from the bands forthcoming album 'VR' and what better way than the title track ‘VR’....this was sheer brilliance...." "Death By Lightning.... one of the finest pieces of metal you’ll hear". either band in any way"
.... an excellent album and things can only get better for the band"
"sounds very much as Dave Murray & Adrian Smith .... The Last Invention..technique & melody..magnificent. Sublime! .... Outpost is a beautiful power ballad". Go to the reviews section at www.furyuk.com to read more reviews, together with links to each reviewer. 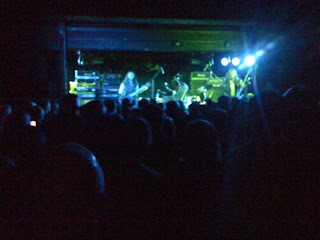 New photos from the Camden Underworld show on 30th May, with Blaze Bayley. Visit www.furyuk.com to see more in our Pics section. Thanks to Noel from Get Ready To Rock for his work here. We did a new photo shoot with Neil Pilkington of NP Photo this week @ our rehearsal studio. Please visit our website at www.furyuk.com for a selection of the best pics from this session so far. Big thanks to Neil for his work here. Here we are again with another 3 shows completed on the tour & what a run of shows they were. Last Thursday we were in Norwich. Now this wasn't the best attended show on the tour but of course this one was rearranged at short notice after the previous venue shut down. Big thanks go out to the Brickmakers for putting the show on at short notice & was a decent sized crowd & a great response. Onto Peterborough for probably the best sound on the tour so far. What an awesome system & sound engineer Les knew how to get the best out of it. This was a Fury UK highpoint I would say, an amazing gig for us at an amazing venue. We stayed on for the club night which followed on from the gig & ended up a little drunken shall we say? Peterborough city centre was "entertaining" when in full flow on a Friday night/Saturday morning & it was only manners to sample burger & chips from a van near the Travelodge for a very late supper. Next up was Camden Underworld on Saturday. A Saturday night in Camden in itself was an ambition for this band & the anticipation plus a little nerves was certainly there for this one. We weren't disappointed & a full crowd of some 290 people plus guest list made for a hot night. We opened up early at 7.30pm but were relieved to see a packed crowd for pretty much all of our set which went fantasticly well apart from Martin busting a kick drum skin (sorry to Larry from Blaze's band for the necessity for an emergency replacement skin in the changeover). This, like Peterborough, was a highpoint with another great sound, amazing crowd response & plenty of familiar faces amongst the guests. The crowd singing "Hail!" with us in Call To Arms was inspiring. Awesome support all round for us & then Blaze & the guys of course ramped things up even tighter. So, hopefully we did our job there, warming things up nicely. After the gig we were ushered out of the venue unduly quickly but all was good as we made our way to the aftershow party down the road at the Purple Turtle. The party rocked almost as much as the gig - at least if Chris' partying was anything to go by (well done for the duck-walk Chris - Girls, Girls, Girls!). Bands, crew, family & friends all pretty tipsy into the early hours & more than one very sore head plus a little sickness next morning - salute to Sager for the most sickness we've seen for quite some time. Thanks all for these shows. Truly a privilege to be involved. Next up on the tour with Blaze we're at the Yorkshire House, Lancaster on Friday 5th June & Victoria Bikers Pub, Coalville on Saturday. "the band are now a proper united front who truly believe in the music they create and the direction they are travelling in...." "a sample of what to expect from the bands forthcoming album 'VR' and what better way than the title track ‘VR’.... this was sheer brilliance...." "Death By Lightning.... one of the finest pieces of metal you’ll hear"
Can't believe it's a full 10 days since we last blogged! So much has happened & we've travelled so far in that time. Since the Mansfield show we've been to Newport & Swansea in South Wales, Weston-Super-Mare down in the south west of England, up north to Leeds & then Newcastle. Got to say although touring is generally full of highs & lows, the highs are dominating so far. We're having a bloody fantastic time, meeting new people, making new friends, especially in the south where we've not played too often before but equally at the Leeds & Newcastle shows where we've played before but now plenty of new faces. The response has been awesome for us, we go home each night with cheesy smiles basically cos we're having such a good time & of course after each of our sets we get to rock out to Blaze Bayley's set which is quality! Please note the change of venue for the Norwich gig - no longer the Queen Charlotte, now the Brickmakers as above. Looking forward to all of these. It'll be a blast to play Camden on a Saturday - we've been to other venues in Camden during mid-week but a Saturday night at the Underworld is special for us. We've added a 2nd London date on 19th June which is The Marlborough where we've been asked to headline a rock & metal festival. That's in SE London & proper details will be available very soon. Don't forget we've also got the Bulldog Bash coming up in August, our 2nd year running there & all the more special for us as the 2 headliners for the weekend are Motorhead & UFO - long-standing heroes for us. Hope to CYA out there at Norwich, Peterborough & Camden. We've so far been to Bury, Grimsby, Southampton, Swindon & Mansfield on the tour with Blaze bayley & we've loved every minute. The warm welcome we've received at each venue has been a pleasure to see & we've really enjoyed our playing time. And of course each time we've finished we get to kick back, grab a beer & watch Blaze's set which is awesome. We also get to meet & chat with all of you guys out there. It's been a very very cool experience so far. The travelling has been hmmm .... interesting, the motorway services taking a pounding especially with the capuccino to keep our driver's eyes open. A few 5.30 am finishes along the way but hey! .... it's rock n roll. Thanks by the way to Mansfield for the excellent participation with the "Hail!" chants in Call To Arms - awesome! We're off to Newport on Thursday (TJ's), then Swansea on Friday (Sin City), Weston-super-Mare on Saturday (Hobbit's). Looking forward to these & have heard good things about each venue. A reminder also that we release our latest album on Rocksector Records in July. You'll have heard a few songs from the album on the tour so far. 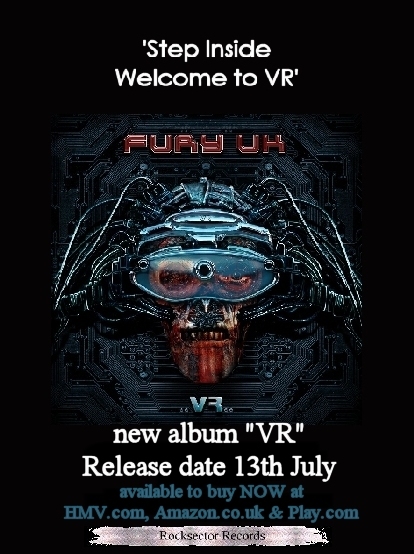 The title track "VR" is available now for free mp3 download at the band's website : www.furyuk.com. Thanks as always for the awesome support. The tour rolls on! Tour with Blaze .... so far so good! We've played the first 2 nights of our 20-date tour with Blaze Bayley, in Bury & Grimsby & both gigs were awesome. We've had the best of times so far, Blaze & his band have been absolutely cool with us & with a sell-out show in Bury (c.160) & a similar number in attendance at Grimsby the house has been well & truly rocked! More please! As promised the title track from our upcoming album "VR" is now available for free mp3 download at our website at www.furyuk.com . The track is not too far off 7 minutes long but it takes only a couple of minutes to download. We hope you enjoy! Let us know what you think? We're delighted to be confirmed for the 2009 Bulldog Bash, Biker Festival. This will be our 2nd year running at this massive event. Headliners confirmed so far are UFO so we're proud to be lining up at the same event as rock legends like that. The Bulldog Bash takes place 6th-9th August in Stratford-upon-Avon. More details to come! This will mark the completion of our "VR Tour" which starts on 11th July at the SOS Festival. 1 Aug 2009 VR TOUR : Bridge Rats MCC "Rat Pack Rally"
As most of you guys know, we're really up for this tour with Blaze Bayley.... a tour with the former frontman of Iron Maiden .... pretty awesome! Here's the full schedule, plus 2 or 3 other gigs we have during the same period. We're making a track from our upcoming album available for free mp3 download from our website very soon & well ahead of release date. We hope you like it :) Watch this space for an update on this one very soon. We're undertaking our first trip for international gigs when we tour Norway late in August. We expect to announce 4 dates very soon. Fans will remember we'd originally planned to visit around 2/3 years ago only to be let down by a promoter at the last minute so we're really excited that this trip, put together by our label, is happening now. More details soon. More exciting news coming very soon but the album release date is now fixed, at last! Hi all! Quick reminder here on the April shows before we get started on our UK tour with the mighty Blaze Bayley. It's pretty cool to be getting around the country again even before the official tour dates begin. Looks like the album's on schedule for the release date 8th June, now the delays are finished. Looking forward to getting it out there! .... we've experienced a few delays with artwork & stuff, so the release date for the new album has been pushed back to 8th June at the earliest. Not what we wanted to do but it's got to be right, that's most important. Sorry for the delay, we'll keep you posted on progress. Meanwhile, our shows so far since getting back on the road have been rewarding to say the least. The highpoints for us have been first of all the number of people taking the trouble to travel to gigs - in some cases quite a distance - times are hard at the moment we're told (credit crucnh & all that) so when people make an effort it's particularly appreciated. Secondly, as you'll probably realise we've been previewing songs from the new album in our live set & the feedback has been fantastic. That means a lot 'cause let's face it, when you put new stuff out there, you never know for sure how it's going to go down. Brilliant response anyhow & we're delighted with that. Big big thanks to all those of you who've been to our 9 shows in March so far. Just one to go, this Friday at the Brewery Tap in Bradford, then 2 weeks break before we hit the Yardbirds Club, Grimsby on Friday 10th April. Looking forward to that. A couple of us went to see our label-mates 4Bitten at Yardbirds, with Angel House, a week or so ago & it was a very cool place so we can't wait. We're told that Sacred Mother Tongue are also playing the night we're there & we've heard good things about them so hopefully all shaping up for an awesome night. We'll be keeping in touch more often on here again now we're up & running on the road. Well we've been back on the road constantly this past week or so, and we couldn't have a better one. Our first show of our year started with a nice lil warm-up gig at "Old Isaccs" in Atherton, where we met up with some of our old friends from Blackpool, thanks again for comin' down you guys, may the force be with you! A couple of nights after we travelled down to Shrewsbury to "The Yorkshire House". Nice artwork on the walls here - you can see Eddie from Iron Maiden and Megadeth all over the place - cool! After a solid and entertaining night at Grand Central, the night after we headed over to the "Seven Stars" which in Wrexham North Wales. We had a great one there too, fans from Oswestry turned up & we were very happy to see them again. Also, our excellent label-mates Decadenze turned up to see us & a good time was had by all. Next night, we were off to Doncaster, always a happy place for us - "The Hallcross Rock Bar". Have never been disappointed there. Thanks to Annete & Bo for looking after the sound for us, the party aferwards was a bit crazy & breakfast as always was immense! Finally, we had a week off to stop our fingers from bleeding and relaxed a bit. Then on Saturday 13th March we played "The White Hart" in Burnley. Again another great little Rock venue. Again we got some visitors - our friends Alan & Linda, & also friends from Blackpool Pat & Kay and all their crew travelled over. So that's a little account of our March shows so far. More to come. Last night we had our first gig in 2 months, and I must say I have missed being on the never ending road of touring! We were in Atherton last night for a lovely lil warm-up gig to get us going which turned out to be a great show for us. Our next show is this tuesday in Shrewsbury when we play The Yorkshire House. Hopefully see some of u guys there. We've got plenty of gigs in March & April, all building up to the beginning of May when we start our tour with Blaze Bayley, at the Hark 2 Towler in Bury, a great rock venue. It's a 20 date tour with ex Iron Maiden vocalist Blaze, so make sure u get urselfs down to some of these shows, it's gonna b amazing! 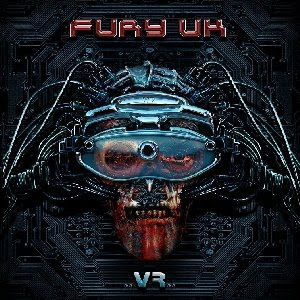 After taking January & February off to record a new album "VR", Fury UK is back on the road in March & April, previewing some material from the album (release date 5th May) & warming up for the UK tour with former Iron Maiden frontman Blaze Bayley. The band has just started discussions for a debut video, to help promote the "VR" album, & the website & MySpace have both been revamped, to match the theme of the awesome album artwork done for us by Mark Wilkinson, who has worked before with the likes of Judas Priest & Marillion. Here's also the March & April dates. We're looking forward to seeing you out there. Hi all, can't believe it's about a month since we last blogged! The album's recorded & mixed, ready for mastering. We're pretty excited about everything & of course hope all you guys out there are going to like it as much as we do. Release date for the album is 5th May, nicely timed for the start of our UK tour with Blaze Bayley on 2nd May. The front cover artwork design for the new album has been done by a guy called Mark Wilkinson. He's done an amazing job for us & the band's website has been given an overhaul & now all fits the "VR" design. Previously Mark's worked with bands such as Judas Priest & Marillion, quality! Take a look at our website, see what yer reckon?! As we said we're pretty cranked about the album & tour dates. We reckon we've achieved the main objective which was to record an album which gives a more accurate idea of what the band is like playing live. The album will be available at all the usual hotspots including the almost world-dominant HMV, plus independent stores, plus online at HMV.com, Amazon.co.uk, Play.com. We'll let you know when pre-orders are available. Thanks everyone. More news soon. Studio update : new album "VR"
Hi everyone. Incredibly this is the first chance we've been able to grab to update you on our progress in the studio. We started recording "VR" on 2nd January & apart from the occasional & customary technical glitch, we've successfully recorded the majority of parts for the 10 tracks. We go back to the studio this coming week for around 4 days to hopefully complete our work then all will be ready for mixing & mastering. We're excited about the way the new songs developed in the studio & can't wait to get things properly ready for our planned release date at the beginning of May, hopefully more or less in time for the start of UK tour with Blaze Bayley. It's strange to have no gigs currently but that's exactly as we planned it & we're enjoying the rest & just a few beers ;) Chris was seen last night at a couple of our favourite haunts (Grand Central & Hark To Towler) & we hear made a FULL night of it! Well done, mate! Earlybird tickets are credit-crunched to a mere £5.00 (single day) & £10.00 (weekend) & will be available from the band very soon. Email us at roaf@furyuk.com for details. Well, a happy new year to all of you rockers out there, and we hope you all had a very merry christmas & new year. Hopefully, you had as good a time as us, especially as we had brilliant gigs at Hark To Towler (Bury) on 27th December, then the White Hart (Burnley) on New Years Eve. We had a bit of fun at Burnley as (surprisingly) were given some blow up guitars, so we rocked out with them, also putting on party hats which our drummer Martin loved to wear ;). A big fun way to see off 2008 & welcome in the new year. So.... 2009 is here, and it shall be a superb one I believe. Although we take the 1st 2 months off the road we then get busy with our usual touring commitments, in addition to the recent news of our tour with Blaze Bayley, plus of course we are hoping to hit the festivals again in the Summer, with 2 confirmed already. We're busy right up to the end of the year when NYE 2009 will see us in Bolton at the Butchers Arms - it may be a little early notice but come on down and have a party, haha! There's lots of things to happen between now & then, & as most of you know 1st up for is recording our new album "VR". The songs are written - 9 brand new tracks, plus 1 old favourite. Although none of the new songs have been played live, we've been rehearsing them for a while now, so we're ready! We'll try to keep you up-to-date with our work in the studio.